You can get carried away by the commercialism, ignore it, or focus on what really matters – true love that, in Shakespeare’s words, alters not when it alteration find. 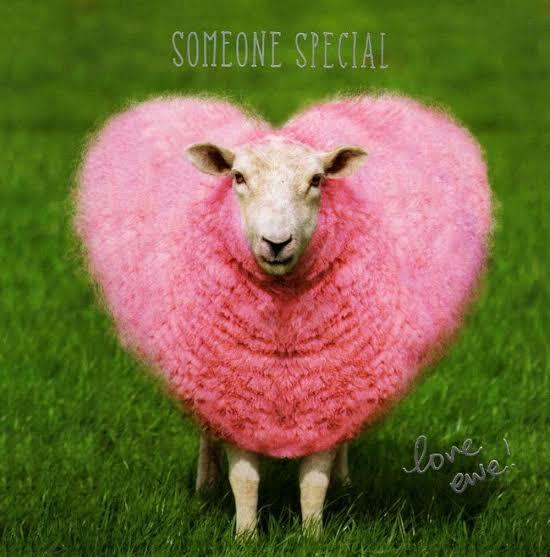 Wishing ewe love and laughter. 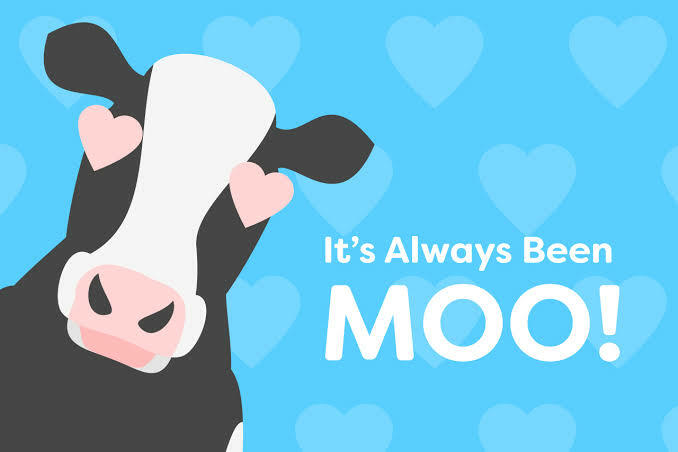 And love and laughter to moo too. Valentine’s Day can be crassly commercial. There are people who believe we stand alone, whole & complete & perhaps that’s true, but all I know is there are parts of me that would not be if they had not come alive with you…. – © 2014 Brian Andreas – posted with permission. My farmer says it’s better to know you’re loved every day and not just on a few special occasions in a year and he means it. That doesn’t stop him marking the odd special occasion and on Friday he came home with a beautiful bunch of flowers in anticipation of today. Today I’m grateful for romantic gestures and the love which comes with them. Kiwi flower growers are coming under increasing pressure as cheap flower imports, mainly from India, flood the New Zealand market, says Flower Growers Association chairman, David Blewden. Mr Blewden says around 50 percent of the roses sold each year for Valentine’s Day are now imported. Not only is this affecting Kiwi growers’ livelihoods, it also poses biosecurity risks, he says. Any imports pose biosecurity risks but MPI has strict protocols to deal with them. “Imported flowers are usually treated with harsh chemicals like Round Up. This means they don’t last long once you’ve bought them and you have to be careful when handling them if you are sensitive to chemicals. Any flowers treated with Round Up would be dead. The discovery of a single Queensland fruit fly got major attention a couple of weeks ago. Any pests or diseases on imported flowers would be treated as seriously but I don’t recall any news of one. He says New Zealanders buy approximately 600,000 rose stems for Valentine’s Day and by far the majority are romantic red. But Kiwi growers account for only about 300,000 rose stems destined for Valentine’s Day. The balance – another 300,000 stems sold for February 14 – comes into the country from India. “Import volumes are growing each year because stems are massed produced overseas very cheaply. This is putting our local industry under severe pressure. “Unfortunately, consumers don’t know that most of the roses they buy are imports. Perhaps if they did they’d ask their florist for NZ-grown stems. They’d certainly last longer and be of better quality when you got them home.” . . .
People base their buying on several factors including cost and quality. Flower prices soar on Valentine’s Day. Some people might prefer to pay a higher price for local blooms but I suspect many would sacrifice quality and longevity for a lower price. Competition from overseas will make business more difficult for local growers but gives consumers more choice and lower prices. That’s what free trade does and as many of the growers will be exporters they can’t argue for any special treatment here without endangering their sales elsewhere. While on the subject of Valentine’s Day, it’s also my birthday. On my 40th our accountant had stayed the night and presented me with a gift at breakfast. Minutes later my best friend’s mother arrived out from town with a present. My farmer muttered that they were showing him up and disappeared into the office. I learned later he phoned a friend who’s a florist and asked for 40 red roses. She pointed out it was Valentine’s day and they would be very pricey. He said that didn’t matter. She told him what it would cost, he changed his mind and asked about carnations. They were a similar price so he told her he’d call in later and see what she could come up with. She came up with a beautiful bunch of mixed blooms, the cost of which remains between them and their country of origin never crossed my mind. In daily diaries, 48 couples cohabiting in the United States reported whether they told their partner about the most positive and stressful event of their day. Participants reported greater positive affect on days when they told their partner about the most positive event of their day. . . . Participants also reported greater positive affect on days when their partner shared their most positive event. Positivity is infectious and it can work for single people too. A friend had been through a particularly difficult patch with a marriage break-up and family deaths. Another friend suggested that no matter how bad a day she had it would help if, last thing at night, she though of one good thing that had happened in her day. Her first thought was that there weren’t any bright spots to reflect on in her days but when she was driving home she rounded a corner and saw a flock of lambs gambolling and as close to grinning at the fun of it as lambs can get. She grinned too, tucked the memory away to bring out last thing that night and has made a habit of making her last thought a reflection on the day’s bright spot ever since. Enjoy the flowers, chocolates, teddy bears, jewellery, perfume, intimate dinner, picnic or whatever other display of affection someone special wants to shower on you. I’m not going to rain on anyone else’s romantic parade but nor am I going to buy into the commercial hype that now surrounds Valentine’s Day. As my farmer keeps reminding me, it’s better to know you’re loved every day than to receive tokens once a year. It matters not that he does this with more than a little self-interest because Valentine’s Day is also my birthday so he gets out of a double expense. Love every day is worth celebrating and to be treasured.